DT was never properly appreciated in Denver, mainly because he has had games of multiple drops and his body language is a tad 'mopey'. The fact is, he's one of the most talented, toughest (look at how many games he's missed) and best teammates (from all accounts) in Bronco history. He's still got the athleticism to separate in this league on the outside and he will know parts of O'Brien's system because he's worked in a McDaniels Offense. He will frustrate at times with the aforementioned drops and the fact he's not the greatest after the catch from a physicality perspective but he's going to move the chains in big spots for Houston. I wish him all the best, and I can't wait for his ring of fame induction. Wish the browns got in on this action. i don't think Thomas will want to miss this game. He will be looking for revenge. Revenge? He knew his time was coming up, and he was an absolute pro about it. Part of what makes him so underappreciated during his time in DEN. He got a rep for being "soft" - yet he never missed a game the past 5 seasons, even after taking thunderous hits game in and game out as the QB play has suffered the last 3 years. Drops were absolutely a drawback to his game, especially because he made incredibly difficult catches - those kind of drops always infuriate the fanbase. And now, as he's gotten older, and his hips are giving him issues the last 2 years - the explosion's gone. He's still a great possession guy, fantastic route runner, knows where to be, uses his body position and hands to box out CB's, and is a great RZ threat. He's just not the burner / deep ball guy like he used to be. Which is understandable. The reality is as a WR, he wasn't the piece you build an entire O around, he was a big piece that made the O hum - but only if you had a good QB. But he got paid like an alpha WR, and that probably is what generated the "soft" label. He drew resentment from the fanbase when the O sputtered, because he was the highest paid non-QB. Those complaints were really baseless, but part of the territory when you become a high-paid guy. Now, with him leaving and getting DEN a decent return, and leaving the chance for cheap, young talent to take his place, when we are clearly rebuilding, no doubt the narrative will change, including a HUGE sendoff this weekend. He's getting nothing but love from his current and former teammates, and even mascots are wishing him well (including the mayor lol) - https://www.denverbroncos.com/news/the-squeeze-demaryius-thomas-broncos-team. And the team's left his banner up on the stadium, and plan to unfurl a big THANK YOU banner to him in pregame this week. It may be bittersweet, but there's no revenge narrative here. The real narrative is that HOU is 5-3, and gunning for the AFCS title. 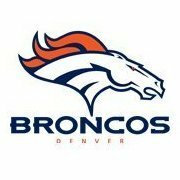 DEN is playing for pride - they may say they're still alive at 3-4, but the Broncos are dead men walking. Elway knows it, which is why DT got traded. HOU's WR corps is depleted, even if Coutee plays he's likely not 100 percent. Really, that's more than enough to justify DT taking the field. He may no doubt want to play well and score - simply so he can finish his Mile High time on a high note in what shapes up to be his last game here (because if he stays in HOU for 2019, perhaps his final year with all the punishment he's taking, HOU isn't returning to DEN to play, given 2019 is going to be a matchup @HOU, and then DEN/HOU don't meet again for another 3 years). As DEN is not a contender, fans would probably give him a standing O if he scored vs. us on Sunday. I certainly will be. revenge in a good way. idc what a player says, deep down they want to pay the team that let them go back. you don't think he will be hyped to play against his former team? Before last Tuesday's trade, however, Thomas had expressed frustration that news of the possibility of the deal had gotten out and that what the Broncos had planned had not been communicated to him. At the time, he was the longest-tenured played on the team. "Monday before [the trade] Vance Joseph walked up to me and he said, 'Don't listen to the trade talk; it's not true,'" Thomas said. "... When he said that to me, I said, 'How is that not true? My agent called me today and said Elway wanted a fifth-round pick for me.' So, are we telling stories to each other now? I thought we were going to men about this." Thomas added: "I knew something was going to happen." On not being selected as one of the team's two captains on offense -- quarterback Case Keenumand center Matt Paradis were announced as offensive captains -- Thomas said: "And then, on the other [end], like, man, I've been here nine years and I can't even be a captain. ... I was on guys and I guess they didn't want it that way. But then I had a meeting, I was like, 'OK, I'm gonna be a captain again,' I go to a meeting room and it's like every player came to me and were like, 'How you not a captain? We picked you.' ... It was heartbreaking." Not the best optics for the Broncos, particularly Vance Joseph if he's going around lying to his players' faces. Though I can see Elway instructing him to do that, knowing full well that he will fire Joseph at the end of the year.